Is it possible to see the Andromeda galaxy with the unaided eye when in dark sky country within Texas? I live in Dallas, where we feel lucky to see Jupiter and Saturn. Is it possible to see the Andromeda galaxy with the unaided eye when in dark sky country? It is, as you obviously know, a function of relative brightness. The darker the night sky, the dimmer the objects that can be seen. 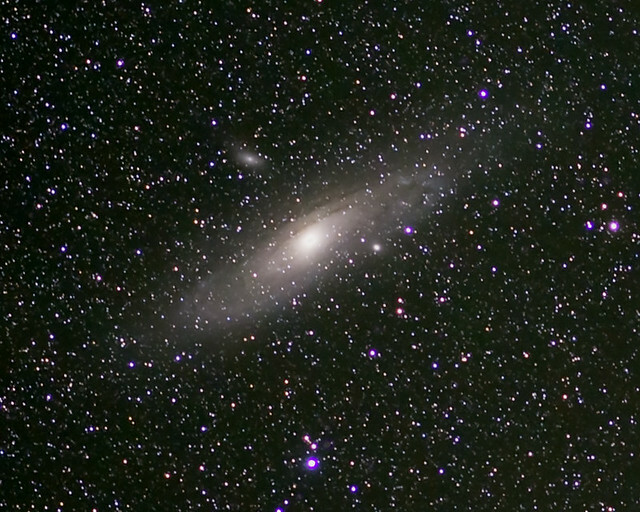 In, say, west Texas near the McDonald Observatory or under similarly dark skies, the Andromeda galaxy is obvious. I wouldn’t call it in-your-face, but you don’t have to strain to see it. It’s bright enough that you can easily tell the orientation of the galaxy.